Some time ago I heard this little story: An Italian, a French and a Norwegian are asked to study the elephant. The theme is free but it needs to be about the elephant. So the Italian decides to study the eating habits of the elephant. The French choses to study the lovelife of the elephant, and the Norwegian decides to study what the elephant thinks of Norwegians. Everyone laughed, but when I heard this little Norwegian story I did not know why this was supposed to be funny. Then after some time I realised that although every national probably likes to hear about themselves, Norwegians are in a different league. Because let’s face it, more than any other people Norwegians have a hunger for any kind of opinion others might have about their culture, their customs, their food, their history and so on. And the more positive the better. Other people are the same you might think. Well…as a French, if someone tells me for the millionth time “I LOOOOOVVEEE Paris”; I smile, say thanks, politely ask what they’ve seen and what they’ve liked and I move on to another topic. Norwegians on the other hand never seem to have enough of listening to foreigners telling them about how much they love Norway, its fjords, its salmon, its great gender equal and peaceful society and so on. And if you don’t just talk about it but also adopt it, they will get out of their shell and become talkative and friendly: wear a Marius sweatshirt, learn a few words in some remote dialect, go around bars on a friday evening with your skiis on your shoulder etc. and just see the reaction around you. How many times have I seen Norwegians smile and nod in satisfaction when I tell them stories of that time I lived in a hytte with a Norwegian family and couldn’t understand how such a rich nation could willingly take a holiday in a wooden hut without hot water. As a friend truly said, Norwegians can’t brag too much about their great their culture and their fantastic country because of the limitations of Janteloven. But aren’t they glad when others do it for them! But then again, it’s tricky, because Norwegians want others to love specific things about their culture: hyttelivet, friluftsliv, koselig. I wonder what people would think if I start saying “I looovvee Norway, especially this habit people have of tanning in salons. Because I just love being orange and feeling like everyone else does to” or answering that my favorite Norwegian food is not salmon aarrhhgg how horribly healthy. No my favorite Norwegian food is Grandiosa Pizza. Such a great Norwegian culinary invention. And that my favorite “newspaper” is Se og Hør because Aftenposten is SOoooo boring with all these complicated articles… What if foreigners start loving Norwegian culture’s trashy side more? Would Norwegians still be happy about that? What about opinions about Norwegians being completely negative, such as Norwegians being cold, racist, selfish, arrogant etc.? Strangely enough Norwegians are also interested in hearing about this kind of opinion. The Norwegian media grabs anything, positive or negative, written abroad about Norwegians to publish it. Whatever it is, whoever wrote it. Some Mexican teenager moving to Narvik (out of all places) says that Norwegians are as cold as ice, Aftenposten makes the headlines “My meeting with the cold Norwegians”. Some other American chick says that Norwegians are “superior and rude” and bad at small talk (breaking news) and that also makes the headlines of NRK and Bergens Tidende. A Swedish guy writes that Norwegians are racists, selfish and that nothing good ever came out of their country and instead of laughing at so much obvious provocation and call for attention, Norwegians start a huge debate about racism in Norway, how Swedes see Norwegians and so have you. And this goes for any book, article, blogpost, where virtually anyone in this world having an opinion about Norwegian people and Norwegian culture is potentially interesting to hear. Like any other people you might say. Well, not really. Again taking the example of people I know best, the French (sorry that’s the closest and most accurate model I have): there are numerous books and articles written about French people being the rudest people in the world, oh also the best lovers, the best at raising their kids, and of course the worst tourists in the world. The difference is that French people don’t give a damn what others think of them. That the Britts think French food is crap, the Americans think Paris is a country and Australians think we are communists. May they be praising the French model, may they be spitting on it, French people hardly read any of this and when they do it doesn’t affect anyone, neither in the media nor even in any kind of debate in society. All in all don’t know why French people don’t care, but one thing is for sure, Norwegians do care. But why? I see three potential reasons. 1) Are Norwegians arrogant and overly proud of their country? Naaaa although Norwegians are usually pretty sure Norway is the best place on Earth to live and they are quite pleased you figured it out as well, they can’t be as arrogant as the French who actually ranked themselves as the most arrogant people in Europe (!! you must admit that takes some guts…or pure arrogance). Some might say what some see as Norwegian arrogance is just self-irony in hiding: trying to find anything, anyone, even abroad that reminds yourself of Norway to laugh about it. But then again, I’m not mastering Norwegian humour that well yet. That said, Norwegians do tend to be very proud of their own country but not more than any other nation I would say. Except in the Winter OL, but that’s another story. 2) Norwegians are not confident enough that their country is big enough and their culture strong and influential enough on an international level for the world to be interested in it and having an opinion about Norway. On this issue, I just think that I just think Norwegians love their country (then again who doesn’t) and what they love even more is to be reminded by others that their culture and country are worth having an opinion about. That their language, although spoken by the equivalent of one suburb in an Asia capital city, is worth learning (just watch their satisfaction when foreigners manage to make a few Norwegian sounds and create a sentence or two). That their country, one of the most beautiful in the world, is worth visiting despite prohibitive cost of life for tourism. Again, nothing dramatic about that. 3) Norwegians still remember when they were a nation of poor fishermen sometimes having to leave their homeland to survive. At that for centuries, Norway was not really an independent nation but just an annex of either Denmark or Sweden. Norwegians might try to remind themselves what makes them distinct from the other Scandinavian countries (weren’t they all Vikings at some point?). If this is the reason, I wonder how many generations it will take for Norwegians to realize they are not the little brother of any other nation anymore. When I talk to older generations I feel like the history of Norway pre-oil is still present in their veins but when I talk to younger generations I feel like that might have been washed away with all the wealth that came their way in the meantime. Young Norwegians seem to be a little less humble and a little less “Janteloven”-friendly than their elders. But then again, only my humble opinion, not saying it is an absolute thruth. To conclude, I sometimes wonder what really defines Norwegian culture. 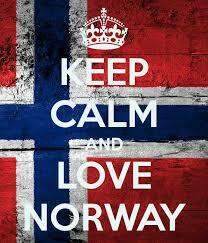 I sometimes hear that Norway had to remember and sometimes even reshape its own culture after the independance. Just like they redefined Norwegian languages in opposition to Danish. Would this mean parts of “typical” Norwegian customs are actually recent or revived recently? This is, however, a topic for a later post. Something along the lines of “What is Norwegian culture, egentlig?”. God dag to all of you! None of which are invented in Norway. Also, love your blogg, a lot of Norwegians love to read your thoughts about us. of course — that’s the point of the blog, innit. Norge er et veldig lite perifert land som i store deler av historien ikke en gang var et uavhengig rike, men under Danmark eller Sverige. Det er derfor nordmenn blir svært glade for, og veldig interesserte i alle slags internasjonal oppmerksomhet eller at andre som ikke er nordmenn snakker i positive ordlag om ting som vi liker at blir påvirket (men ikke så mye de andre tingene, som du nevner), fordi det får oss til å føle oss viktige. Hvilket annet land hadde vel skrevet i uke etter uke om “the fox” som ble en youtube hit en liten stund, bare fordi artistene er norske? Haha, ei veke?? lol – to månader, minst! I love your blog! As a Norwegian living abroad, I can relate to some of the challenges that come with moving to a new country. 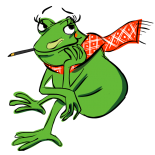 @Frog: The comments to your blog indicate that the vast majority of your readership is norwegian, which proves your point quite nicely, doesn’t it? Hi Hans, yes indeed many Norwegians read me, but for some other posts like “How to Make Norwegian Friends” or those about how to learn Norwegian Language I get mostly non-Norwegian readers (foreigners living in Norway usually. Thanks for reading! As a foreigner living in Norway, I read most of what you wrote with a “oh-this-is-so-spot-on” grin on my face. In line with your views that the younger generation is a bit less Janteloven-oppressed, I think many things about Norway is in a state of change right now. I’m very curious how things will end up looking like in, say, twenty years from now. Sitting here smiling, recognizing and remembering… Good observations! Wow, as a Norwegian living abroad, I really enjoy your articles. I have read two so far and will be digging for more…. just need to go make a good pot of coffee first! Very entertaining. Hi Randi, Wow so glad to know I have a Norwegian knitter living in Egypt in my Readers. Very exotic! Best knitting wishes to you! “Go around bars on a friday evening with your skiis on your shoulder” That was hilarious! You nailed it! I have a boyfriend (foreign) who might have observed the same tendency as you, but reached a different conclusion. He started to criticize and minimize everything he find in her. (“Do you call that old barn HISTORY? My grandfather would put he’s sheep’s in this kind of house”… for example). Strangely enough all Norwegians seems to love him, and he find’s a lots of friends everywhere. (Even when he pisses them of). One could hear her nervous breath from the back of the auditorium for more than 10 seconds. Even our teacher didn’t feel the urge to save her. Poor woman, I hope she arrived home safely (to big America). 1) Norwegians are not so used to tourist masses unlike some other countries, so they want to have more feedback about how Norwegian culture is perceived by others. They think the reason for it is because it Norway is an expensive place to visit, and deep down they are proud of that. 2) Most people from other countries also love to hear nice things about their own country but they are critical of their own country for its domestic issues. Norwegians on the other hand are not so critical because a) they really do have it good, and b) of the Janteloven, they are so ‘content’ with what they have, even it things can be improved. So they dont have the same critical eye and therefore see only the good. 3) Simply because there is not so much other ‘news’ to talk about (hence the ‘fox’ song craze). Reading Norwegian newspapers it is evident that the headlines and main articles (also in Aftenposten) are so trivial in comparison to other countries in the world. I remember when I moved here many years ago I was shocked to see the big front page headline in Aftenposten “We found a new bear species!”. Not to say this isnt important but arriving from a country where there is often violence it was quite shocking. Norwegians have it very good, and they know it, and are proud of it. So they have the time and resources to publicly debate about how Norwegian culture is perceived by others. Ha ha! This is brilliant! I’m an Irish woman living in Latvia and I’ve made the headlines here a couple of times too – sounds pretty similar to what you’ve experienced! Linda. Ohwwwww… I love NORWAY a lot even though I don’t have a blood of NORWEGIANS but I totally love that place I’m so addicted with it. Jeg Elsker Norge!!! So many of the topics here on this blog are often in written in a “every Norwegian- is- this-or -that”- style; ideas on articles seemingly derived from a negative point of view. I can´t see the reason for that. I personally hate when people sweet talk my country. Like, read up on the world. Cause´ like in most of the world´s societies, there are tons of social indifferences- in Norway too, the rich are getting richer, the poor are getting poorer. So when people say they´ve been to Norway, I never fish for complements. Even when they say this or that was great. And if I, per say, were to blog from Paris about for example how exceptionally rude and abstrusely nonchalant so many of the parisians or french even, come across- most French would go like, get all mad and “Stop offending my motherland”. And: “speak my language better, merde!” But I for one don´t assume all French are like that, but ALL Norwegians would love to talk about FISH and gender equality. I´d study the trunk of the elephant. That´s interesting. This- is a little too wholly generalizing of a whole nation and that almost always comes across as ignorant. I’m so happy I subscribed to your blog. I am learning (and laughing) a lot. I have never been to Norway but I’ve always dreamt of going there someday to visit. I know your blog posts will prepare me a lot for that time. Keep up the good work! Oh and if you do write the post entitled What is Norwegian culture, egentlig? – send a copy to Siv Jensen – she has problems defining this too when explaining why we should keep the pesky foreigners out who come in and attack Norwegian culture. Grr. Next Next post: What to expect from a drunk Norwegian?